So, to begin. This next phase of making my Victorian gown consists of preparing the pieces to be sewn together. The preparation has 2 aspects- the necessities, as mentioned above, and decoration. Much of the Victorian look is in the decoration and fabric manipulation, and much of that decoration is hard, if not impossible, to do once your pieces are sewn together. Lining- The lining will be on the inside of your outfit. It will probably not be next to your skin in most cases, if you’re wearing period undergarments, but it will still make a difference in your comfort level. If you’ve gone to great lengths, for instance, to find a great fashion fabric in a cotton, choosing a polyester lining fabric will kill the ability of the cotton to keep you cool. Life will also be easier if your lining doesn’t stretch more or less than your fashion fabric. * If your fashion fabric is a pale color or on the thin side, a brightly colored or patterned lining fabric may show through. Interlining- Interlining, as the name implies, goes between your fashion fabric and your lining. This should be a somewhat more substantial fabric because the whole point of it is to give more strength and structure to your finished product. Again, choose an interlining similar to your fashion fabric, and I’d recommend a similar color too, because they’re going to be very close…. Flatting- Flatting is an important step in creating that period look. It is the process of laying your fashion fabric and interlining pattern pieces down, wrong sides together, and stitching a big running stitch around all the edges. You’re connecting them, and they are treated as one piece of fabric after this point. Flatting gives substance and support to your fashion fabric, provides a strong base for the addition of boning (usually), and helps hide the transition line from corset to skin (Victorian VPL). 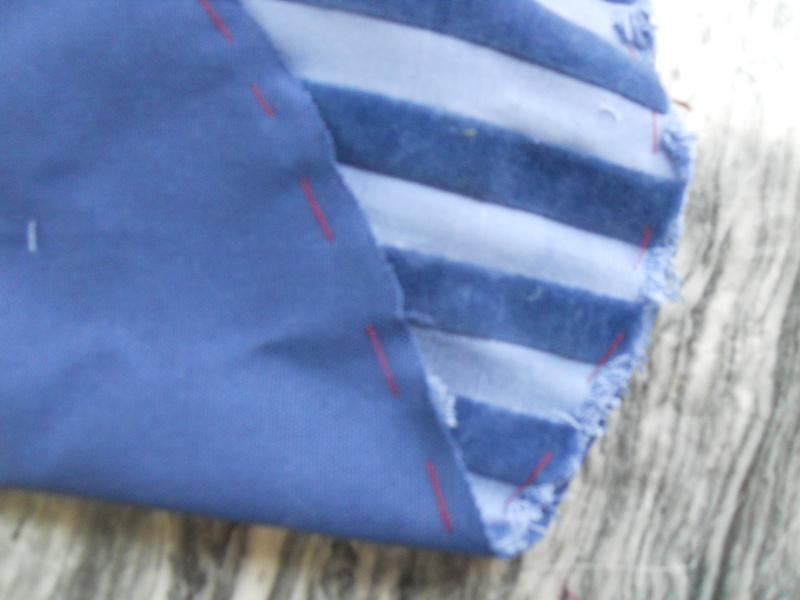 Stay-stitching & pressing- Confession time; I was not always on board with pressing seams. Or stay-stitching. Or even pinning, for that matter, if it could be avoided. But the first time I did a super-fancy outfit I decided to follow every single instruction and wow, what a difference all the pressing & prepping made! I’m a true convert- when I sit down for a bout of sewing I plug in my iron. You might feel like all these steps aren’t worth the extra time, but I figure if I’m already spending hours upon hours on an outfit, I can take one more to guarantee that I’ll get more wear out of it. And another note, be sure to always pre-wash your fabrics, as it reduces the chance of shrinkage, warping and color bleeding after you’ve put all this time and effort in! Mock-up jacket and the skirt (lined but not hemmed) on the dress-form, with silk inset down the back to show the general plan. 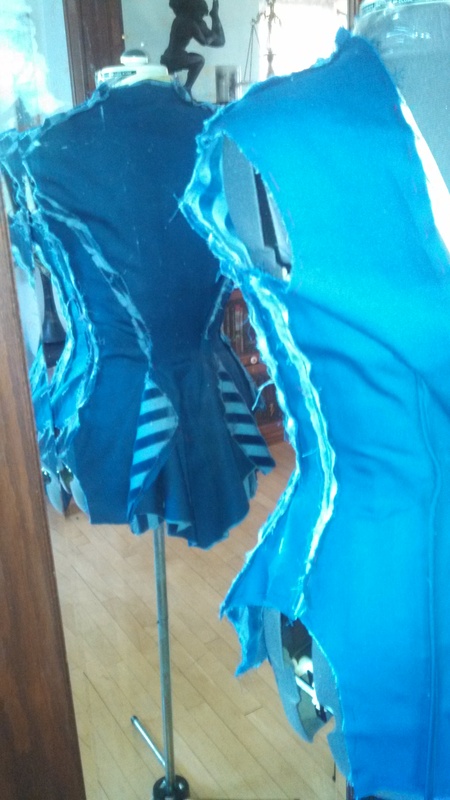 Once the pieces are stay-stitched and flatted and sewn and pressed…. throw them on the dress-form to see how they look! And I promise my next post will be fun…. we’ll get into some Victorian decoration techniques, including the ones I’m planning for my dress!